While returning from Army Base, Captain Ajit Kapoor stops over at a rest-house, where there is a party on, and he meets a charming, vivacious young lady. When he reaches home, his guardian, Father Joseph, wants him to get married. When Joseph accompanies Ajit to see the girl, whose name is Kanchan, Ajit is thrilled to find out that it is the very same girl he met at the rest-house. Ajit indicates his approval, and the stage is set for them to get married. It is then Ajit finds out that the Kanchan is not the girl is he had met, but her twin-sister. Kanchan is heart-broken at this, but wants her sister to be happy. Ajit is even more happy when he finally meets Kamini, who also recognizes him. 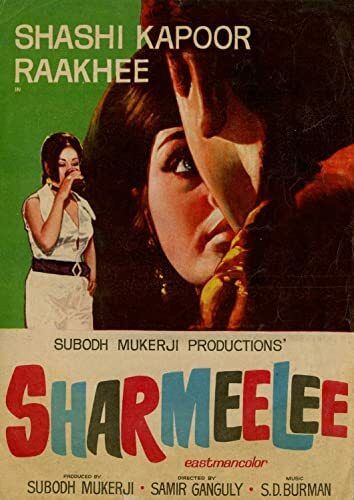 Then Ajit's Army Colonel summons him for assistance in locating a female spy, who closely resembles the twin sisters'.While returning from Army Base, Captain Ajit Kapoor stops over at a rest-house, where there is a party on, and he meets a charming, vivacious young lady. When he reaches home, his guardian, Father Joseph, wants him to get married. When Joseph accompanies Ajit to see the girl, whose name is Kanchan, Ajit is thrilled to find out that it is the very same girl he met at the rest-house. Ajit indicates his approval, and the stage is set for them to get married. It is then Ajit finds out that the Kanchan is not the girl is he had met, but her twin-sister. Kanchan is heart-broken at this, but wants her sister to be happy. Ajit is even more happy when he finally meets Kamini, who also recognizes him. Then Ajit's Army Colonel summons him for assistance in locating a female spy, who closely resembles the twin sisters'.